Most Oil & Gas industry executives have grown accustomed to investing in new hardware for the purpose of rendering their refinery operations more efficient. The efficiency gains result in faster time to market and ultimately, this is reflected in the profitability of the operation. While the gap between initial investment and return on that investment can vary, typical hardware investment ROI can range between 3 and 20 years depending on the nature of the asset. Recently a couple of very subtle, but different trends, have emerged surrounding software that provide opportunities to generate much shorter ROI scenarios (although modernizing hardware is still a very legitimate way to impact bottom line profitability). One trend involves new generation digitization software that now allows plant operators to have a more direct impact on profitability, and, ultimately, ROI. The second trend is the recent availability of end-to-end integrated and connected digitization platforms that enable the creation of what has come to be called a “digital twin” of a complete refinery. Modern digitization software is driving an evolution towards what can be viewed as a value-based enterprise. Within such an enterprise, the focus is on managing the plant or refinery as an integrated entity instead of trying to optimize just one piece of a plant at a time. The software now plays multiple roles within this larger digitization context. It connects a broader range of the devices. It collects a deeper set of data. It identifies trends in that data. It makes predictions and performs postmortem/historical analysis as well. A refinery operator will typically try to optimize output based on his experience regarding temperatures and flows. However, if the operator changes temperature on a cracker, he won’t know whether his adjustment has been successful until 8 hours later, when the operator begins to see the impact. Furthermore, the operator won’t receive feedback surrounding the value of his decision (profitability) until the end of the month, at the earliest. An integrated architecture that connects devices, edge control (i.e., in a refinery, feed control or DCS control) and the software apps, provides this kind of profitability information right away. Therefore, the operator can make an immediate readjustment so that profitability targets are maintained (and perhaps, surpassed). Recent deployments of such profitability-driven tools (an example being Schneider Electric’s EcoStruxure Profit Advisor software), have demonstrated astonishingly fast payback in as little as one month’s time. The tool takes inputs from the refinery in terms of how its running and what’s happening, tracks the historical data, and it makes recommendations for which adjustments need to be made (like the optimal type and proportion of feed stock to produce the highest quality diesel or gasoline). By taking all of these variables into account (including integrated cost information) the tool makes suggestions to the operators so that they can achieve optimal value out from whatever they are producing. One of the best examples of how such end-to-end digitization architectures enhance “whole entity” plant optimization is what is now referred to as a factory-wide digital twin, that is, a digital model of the actual plant. Through deployment of a digital twin, the ability to smartly connect all the different parts of the plant via software not only enables the optimized operation of the refinery, but also generates cost saving gains during each phase of implementation – from the preliminary design phase, during the actual building phase, through operational optimization (upgrades, modifications and expansion of the factory) all the way to efficient decommissioning at the end of the factory lifecycle. The “living” design is updated in real-time so that when the actual facility goes live, a true representation of the facility exists, including maintenance, connectivity, safety and performance/production variables. Any change that occurs anywhere in the facility automatically get updated and loaded into the virtual twin. Any optimization ideas can also be pretested within the digital twin to see if the impact of changes result in additional profitability. This work is performed without having to go through the time and expense of building and testing physical prototypes. Thus, ROI cycle times are shorter. 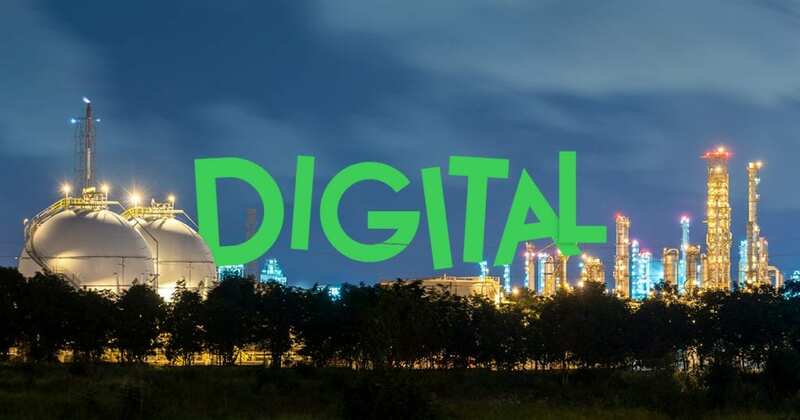 The post In Oil and Gas Refineries, Digitization Software and Profitability are Now Intertwined appeared first on Schneider Electric Blog. ← Anubis is Back: Are You Prepared?